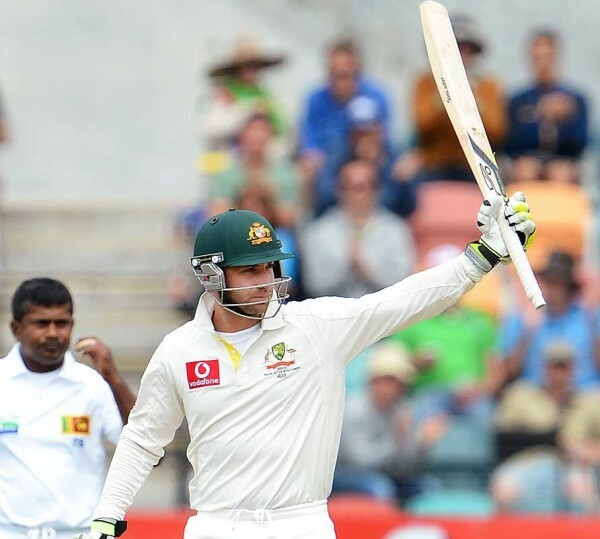 Australia 4-299 (Phillip Huges 86, Michael Clarke 70*, David Warner 57) vs. Sri Lanka. The Sri Lankan bowlers were at the mercy of the Australian batsmen who piled up enough runs with plenty of batting left on the opening day of the first Test. Australia amassed 299 runs in 90 overs with six wickets in hand at stumps on day one. The first Test of the three match series commenced on Friday, December 14, 2012, at Bellerive Oval, Hobart. The toss was won by the Australian captain, Michael Clarke, who chose to bat first and lost an early wicket at 18 when Ed Cowan was gone for just four runs. Phillip Hughes joined in with David Warner and the first took off the pressure of the rival bowling by hitting 2 fours in the 10th over. Warner was going slow and got 22 runs from 45 balls he faced with 2 fours as Hughes reached 21 off 33 with 3 fours. Warner tried to get back to his rhythm by getting 4 fours in the 21st and 23rd overs and attained his second Test fifty as well. The pair took the score to 97 as David Warner was unluckily run out for 57 off 89 balls with 8 fours. 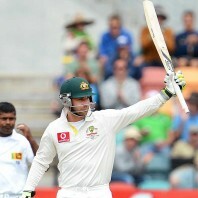 Shane Watson came in next and tried to build the innings with Hughes who was playing well at the other end. Phillip Hughes scored his fourth Test fifty in the 44th over and dispatched the first six of the innings on the third delivery of the 46th over. The first 50 overs produced 182 runs as Shane Watson was caught excellently in the second slip by Mahela Jayawardene off Chanaka Welegedara for 30 runs. 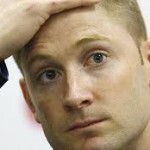 The batsman in-form, Michael Clarke, got together with the smooth going Phillip Hughes who became the next victim. He was clean bowled by Welegedara on the first ball of the 59th over for 86 off 166 balls with 1 six and 8 fours. The home side lost their fourth wicket at 198 when the seasoned Michael Hussey associated with Clarke in the park. The duo kept the score board moving at a reasonable pace and crossed the 250 runs mark in the 78th over. Michael Clarke achieved his 23rd Test half century on the first ball of the 86th over and added another 10 runs in the next over with 2 fours. 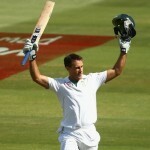 Hussey secured his wicket from the other side and got just one boundary until the close of the day’s play. Australia piled up 299 runs for the loss of just four wickets in 90 overs, Michael Clarke and Michael Hussey were at the crease with 70 and 37 runs respectively. The skipper of Sri Lanka, Mahela Jayawardene, utilised six bowlers during the day but Chanaka Welegedara was the only successful bowler with three wickets. Australia is doing well by reaching nearly 300 runs and the two well set batsmen in the centre can lift the score to a comfortable height whereas Sri Lanka requires few quick wickets early on the second day to come back in the game.